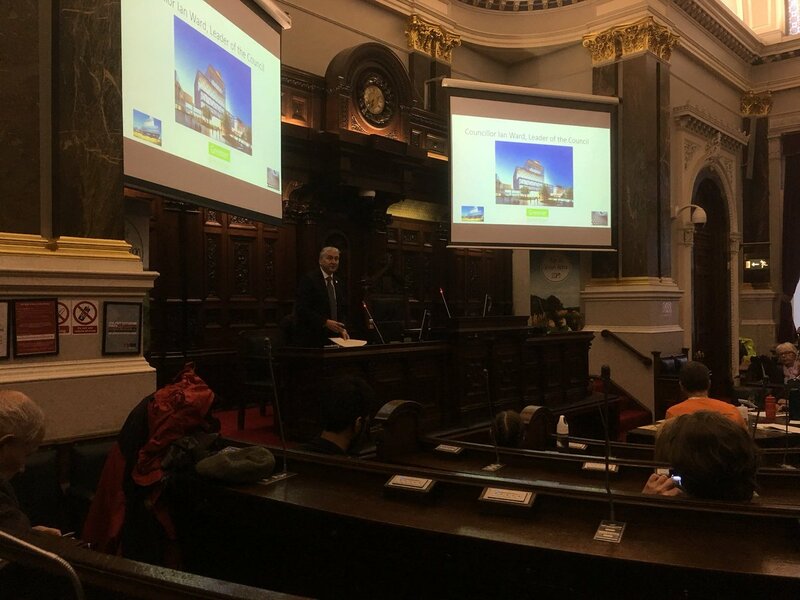 My speech at the launch of Birmingham’s Big Green Conversation. Good evening ladies and gentlemen and thank you for joining us at the launch of Birmingham’s Big Green Conversation. I’d like to start with an overview of our city in 2019 – outlining some of the opportunities and challenges facing Birmingham over the next decade or so. I’ve said many times in recent months that this city has entered a golden decade – a period that will shape the lives of that next generation of young Birmingham citizens. I grew up in Birmingham myself. This is my home city and, though I’ve seen many, many changes here over the years, I’d say that this is the most dramatic period of regeneration in living memory. I hope you’ll all agree that there’s a real buzz of excitement around this city at the moment. Projects like the Commonwealth Games, HS2, Curzon, Smithfield, Langley, Peddimore and many others are transforming Birmingham, delivering more homes, better jobs and improved opportunities for our young and growing population. But, vital though economic regeneration is to our future prosperity, the success of a city must be measured in much more than shiny buildings, major infrastructure projects and new developments. Yes Birmingham is a growing city and our collective challenge is to ensure that the growth is managed in a sustainable way. This city will be home to 150,000 more residents by 2031 and that means potentially 80,000 more cars on our roads, making 200,000 more daily trips. Just think for a moment about the reality behind those figures. 2031 may feel like it’s a million miles away, but is actually just 12 years down the line and unless we take action, the increased traffic will have a staggering impact on people across this city and, whether we’re talking petrol, diesel or even electric cars, the city will be permanently gridlocked if we do not take action. That was one of the major factors five years ago when we launched Birmingham Connected – an ambitious strategy for delivering a transport network to support the city’s expansion by getting more people walking, cycling and onto public transport. We also know that a really successful Birmingham must also be a healthy Birmingham. This must be a city that tackles health inequalities and a city that takes the tough decisions to improve the health and wellbeing of its citizens. So, not only are we launching a Clean Air Zone following this city council’s biggest ever public consultation, we’re also currently consulting on a Clean Air Strategy, because every person who lives and works in Birmingham has the right to clean air. Improving air quality will not only result in health benefits, it can also be a key element of growth and regeneration. This is not simply about air quality though; it’s about quality of life. Birmingham is already a green city – one of the greenest in the UK – with almost 600 parks and open spaces, nature reserves, country parks and of course the canal network. Those green spaces contribute to our physical and mental wellbeing – making Birmingham (in my opinion) one of the best cities in the world to live in. But don’t just take my word for it – this city was last month named a one of the best places to live in the world in the Mercer Worldwide Quality of Living report. Our collective challenge is to ensure that as the city grows – as we continue to see redevelopment – we do not lose that green identity, but instead enhance it. That will only be achieved by planning positively to ensure that growth is accommodated in a way that is both sustainable and deliverable. So in order to meet the challenges of the next 12 years and beyond, we’ve worked with partners to draw-up the Birmingham Development Plan, which sets out a framework that will guide future development across the City. In particular the BDP, as it’s known, looks at how we address climate change, quality of life, delivery of infrastructure and the creation of an inclusive economy. The Plan acknowledges that the City Council will need to play its part in reducing the impact of climate change and be prepared to adapt to its consequences, so that Birmingham can continue to prosper socially, environmentally and economically. Policies in the BDP will contribute to the Council’s target of reducing its carbon footprint by 60 per cent by 2027. This compares favourably with the current government target which requires a 22 per cent reduction by 2022 and an 80 per cent reduction by 2050. Maximise energy efficiency and the use of low carbon energy. Conserve water and reduce flood risk. Consider the type and source of the materials used. That gives an overview of the council’s approach, but we’re determined to work ‘with’ the city, rather than simply do things ‘to’ the city. That’s why the key word here tonight is ‘conversation’. We all have a stake in the future of this city and it’s absolutely essential that we listen to – and take account of – a wide range of voices and views. Both planners and politicians must understand the needs and views of our communities. I fully accept that people will say that we need actions not words – and I wouldn’t disagree with them – so we must guard against this event and the Environment Summit later this year turning into little more than talking shops. Let’s face it, the last thing the world needs is more hot air! But the fact that we’ve come together to collectively discuss the future of our city can only be a positive thing. I know we’re all passionate about this city – or we wouldn’t be here this evening. So I look forward to a frank exchange of views and ideas and I hope that in years to come we can look back on Birmingham’s Big Green Conversation as something that made a real difference to our city and its citizens. I’m confident that together we can make Birmingham’s golden decade a green decade! Posted on April 5, 2019, in speech and tagged caz, green. Bookmark the permalink. Leave a comment.